Bratislava’s national theatre is the most impressing neo-renaissance building in town according to many tourists, and it was finished in 1886. It was then built at the place where the city’s official theatre had been earlier. 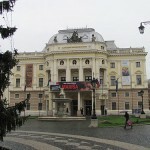 The first Slovakian opera was shown here in 1926. Today this is the place to go if you would like to experience high class opera and ballet. 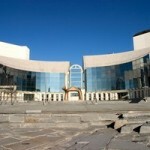 In 2007 a New National Theatre was opened, looking very modern and designed to hold more than 1700 spectators at a time.